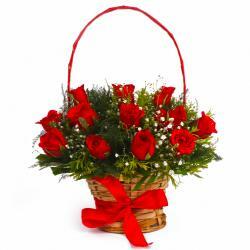 Product Consist : Arrangement of 30 Mix Flowers Like Lilies, Gerberas, Roses and Carnations with green fillers. 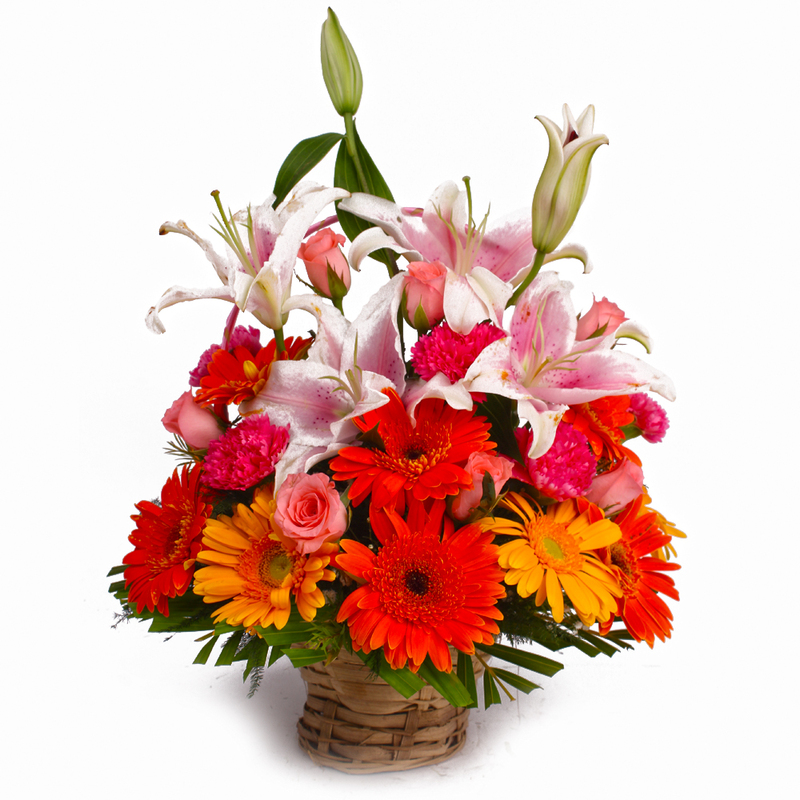 Giftacrossindia brings this elegant and magnificently charming basket arrangement of 30 Mix Flowers Like Lilies, Gerberas, Roses and Carnations. 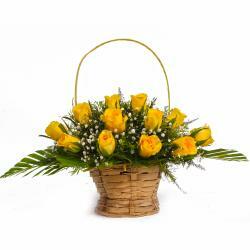 This handmade basket is just the perfect to make the day for your loved one and inspire a smile on their face. This is a wonderful way to show how much you love and care for your near and dear ones. 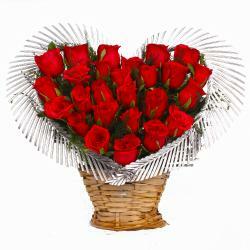 Surprise your love ones with this beautiful arrangement on their Birthday, Anniversary, Get Well Soon, Lohri, Fathers Day etc. 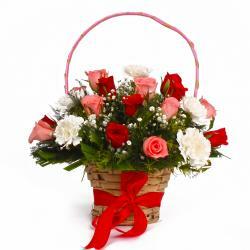 Product Contains : Basket Arrangement of 30 Mix Flowers Like Lilies, Gerberas, Roses and Carnations with green fillers.